Read our helpful guide to second hand Peugeot 5008. AA Cars works closely with thousands of UK used car dealers to bring you one of the largest selections of Peugeot 5008 cars on the market. You can also browse Peugeot dealers to find a second hand car close to you today. 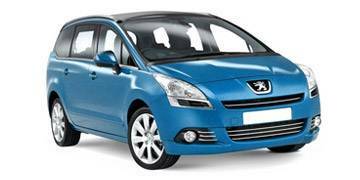 All used Peugeot 5008 on the AA Cars website come with free 12 months breakdown cover. There's certainly no shortage of MPVs around these days, but the 5008 manages to stand out by simply doing what is expected of an MPV, and doing it very well. Spacious, comfortable, light and airy, the 5008 is large inside and compact out, easy to manoeuvre, and affordable to run. The 1.6 litres diesel is the pick of the engines, which - although not as powerful as the 2.0 - is powerful enough to lug the seven-seater around confidently and smoothly. Unlike some of its rival MPVs, handling and ride refinement are excellent, both of which give the 5008 an edge that make it a vehicle that is not only sensible but enjoyable too.